Northeast India's sixth and largest Information Technology (IT) hub was inaugurated here on Monday to boost employment and e-governance besides to export software technology. 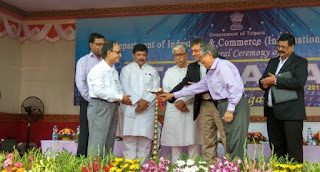 Northeast India's sixth and largest Information Technology (IT) hub was inaugurated to boost employment and e-governance besides to export software technology. it would help the state to bring famous IT companies of India to set off their business and services taking the facilities of this newly set-up IT hub. "Tripura last year got the award from the central government for its performance in IT and e-governance. Many e-governance based facilities and services already extended up to gram panchayat level in Tripura. he objective of the conference is to present Dara Shikoh''s contribution and initiatives in bringing about spiritual homogenisation of Hinduism and Islam and thereby building a cohesive social and cultural edifice of India. 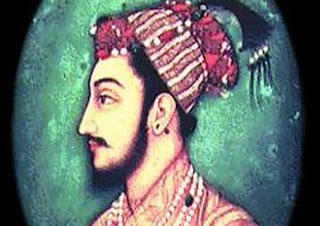 An upcoming conference on the spiritual legacy of Mughal Prince Dara Shikoh here will see the participation of eminent scholars, academics and historians from the US, Iran, Afghanistan, Tajikistan, Uzbekistan, Kazakhstan and India. Dara Shikoh documented the Quranic terms and their Sanskrit equivalents from Upanishads. He aspired to build a cultural model for India which, if it prevailed, would have saved South Asia from many tragedies which it faced in the future. The event by ICCR will also stage a 90-minute theatre production in Hindustani without any intermission, directed by Tripurari Sharma on April 27 at the National School of Drama. Union Minister for Urban Development & Urban Poverty Alleviation M Venkaiah Naidu, inaugurated the function and addressed the august gathering to commemorate the 47th Foundation Day of HUDCO. M Venkaiah Naidu congratulated HUDCO on completing 47 glorious years of service to the nation. 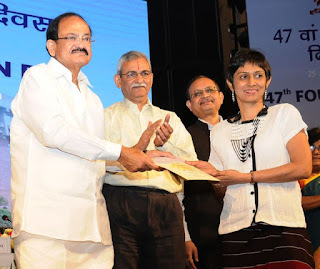 Highlighting the noteworthy role of HUDCO, Naidu urged the organization to realize the vision of “Housing for All” – “Sabka Sapna, Ghar ho Apna”. HUDCO as one of the Central Nodal Agencies (CAN), is channelizing the subsidy, through its Retail Finance Window i.e. HUDCO Niwas and is making sincere efforts to ‘Reach the Unreached’. HUDCO has executed 51 MoUs with various Banks and has conducted 28 Regional Workshops for CLSS to sensitize bank officials on Pradhan Mantri Awas Yojana (PMAY). The Housing and Urban Development Corporation Limited (HUDCO) is a government-owned corporation in India. 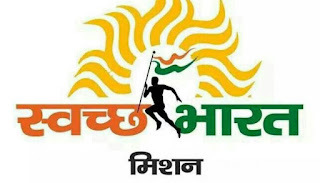 One of the public sector undertakings, it is wholly owned by the Union Government and is under the administrative control of the Ministry of Housing and Urban Poverty Alleviation. It is mandated with building affordable housing and carrying out urban development. 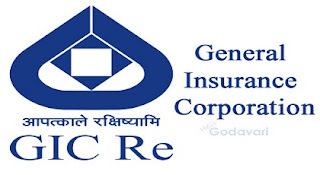 General Insurance Corporation of India (GIC Re) has become the first re-insurer to open an office at India’s first International Financial Services Centre (IFSC) at Gujarat International Finance Tec-City (GIFT City). Wholly-owned by the government, GIC Re, which supported the growth of general insurance business in the country through its four wholly-owned subsidiaries for about 30 years,was designated as the national reinsurer in 2001. It provides reinsurance support to life and non-life insurers in India and abroad. India’s first IFSC at GIFT City embodies the vision of making India a financial services hub. GIC Re’s foreign and domestic premium composition now stands at 45:55. Fourteenth (14th) edition of Indo-French naval exercise (VARUNA) started with the arrival of four French naval ships at Goa. 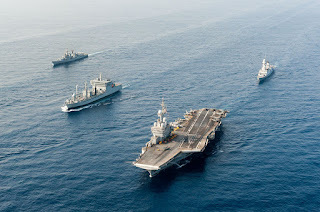 Representing the French Navy is Aircraft Carrier Charles de Gaulle, two destroyers Chevalier Paul and Jean de Vienne, replenishment tanker Meuse and a maritime patrol aircraft Atlantique 2. The Aircraft Carrier Charles de Gaulle is carrying its complement of fighter aircraft Rafale M, Strike Aircraft Super Etendard, E2C Hawkeye AWACS and helicopters Dauphin and Alouette 3. Aircraft Carrier INS Viraat, destroyer Mumbai, stealth frigate Tarkash, guided missile frigate Gomati, replenishment tanker Deepak, submarine Shankul and a few Fast Attack Craft are participating from the Indian side. Aviation assets of the Indian Navy participating in VARUNA-15 include carrier-borne fighter aircraft Sea Harriers, maritime reconnaissance aircraft P-8 I and Dorniers along with integral helicopters Seaking 42B and Chetak. The train connecting Russia with Jiangxi province arrived on Sunday, Xinhua news agency reported. 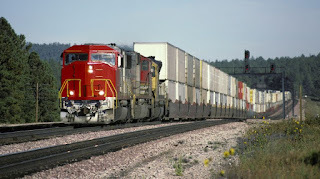 The train was expected to bring resources from Europe and boost local development. The journey started from Kansk, where buses first transported 38 containers more than 260 km to Bazaiha, followed by a train journey of more than 7,000 km, before reaching Ganzhou in eastern China. Ganzhou, an inland area with a complex landscape, was important in early revolutionary activities due to its remote mountain ranges. However, its wartime geographical advantages became a stumbling block in development. The government tried to push regional development in the past few decades, but Ganzhou won no major projects or key investment due to its geography, resulting in slow, sometimes nonexistent, industrial growth. A Delhi-based green body, a French waste company and a Geneva-based innovation foundation have joined hands to further strengthen India’s waste management capabilities. 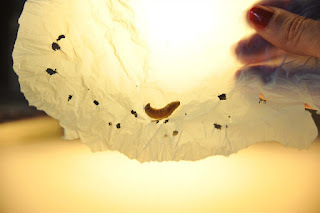 the Energy and Resources Institute (TERI), the Innovative Finance Foundation (IFF) and 3WAYSTE company signed an MoU to collaborate on the rollout of a breakthrough technology for municipal solid waste management. The MoU was signed in the presence of the Ambassador of France to India, Alexander Ziegler. 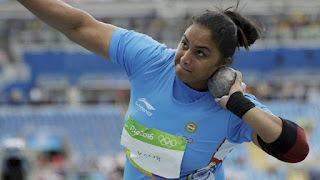 Shot putter Manpreet Kaur’s outstanding performance in the first leg of the Asian Grand Prix in Jinhua, China, helped her take No 1 spot in the world rankings. Manpreet’s gold medal winning performance of 18.86m turned out to be a world leading throw. She pushed Olympic champion Michelle Carter of USA to second spot, whose best throw this season was 18.54m recorded on April 15, in Austin. The national champion in fact set the right rhythm for the Indian camp, which overall won seven medals including four silver and two bronze. India’s world junior champion in javelin throw Neeraj Chopra was among five athletes to win silver. His best throw was 82.11m, far off from his personal best of 86.48m, which he set last year. 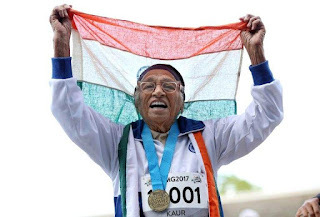 The most popular medal at the World Masters Games has gone to the oldest competitor - 101-year-old Indian sprinter Man Kaur. Man Kaur - sporting her special number, 10001 - crossed the line in 1min 14.58sec - almost 1min 4sec short of the women's world record for the distance. Kaur was guaranteed victory as the only participant in the 100-years-and-over category at the New Zealand event, which has attracted 25,000 competitors. 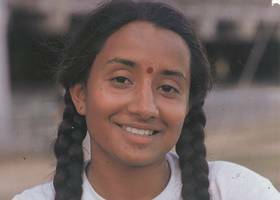 The ‘Marylebone Cricket Club’ has offered honourary life membership to Sandhya Agarwal, former captain of the Indian women’s Test team. A resident of Indore, Agarwal has played 13 Tests and 21 ODIs from 1984 to 1995. Agarwal is being honoured in recognition of her distinguished service to the game. After her retirement, she continued to contribute to the game as a selector and coach, besides being a member of the BCCI’s women’s committee. Presently, she is the chairperson of girl’s U-19 and senior women’s team of MPCA. Founded in 1787, it has been recognised as the sole authority on the laws of cricket since its foundation. MCC has awarded honourary life membership to many finest cricketers. While validating the super pressure balloon technology is the main flight objective, the International Extreme Universe Space Observatory on a Super Pressure Balloon (EUSO-SPB) payload is flying as a mission of opportunity. Also flying on the payload is a poppy in commemoration of Anzac Day, a national day of remembrance in New Zealand and Australia similar in spirit to the U.S. observance of Memorial Day. EUSO-SPB's objective is to detect ultra-high energy cosmic rays from beyond our galaxy as they penetrate the Earth’s atmosphere. As these high-energy particles enter the atmosphere, they interact with nitrogen molecules in the air and create a UV fluorescence light. From its high-altitude vantage point, EUSO-SPB will look downward observing a broad swathe of the Earth’s atmosphere to detect the UV fluorescence from these deep space cosmic rays coming in from above. 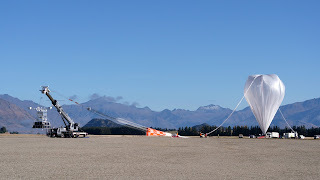 The 18.8-million-cubic-foot (532,000-cubic-meter) Super Pressure Balloon lifted off from NASA's new launch pad adjacent to Wanaka Airport carrying a suspended payload of 5,500 pounds (2,495 kilograms). State-owned Gujarat Narmada Valley Fertilisers and Chemicals Ltd (GNFC) has won the prestigious Golden Globe Tigers Award for Excellence and Leadership in CSR in the category of ‘E-Payment Leadership’ for the implementation of digital transactions in its township at Bharuch, Gujarat. The award recognises “Tigers” in marketing, branding CSR and social innovation, education and academic across leadership levels in an individual and organisation, the company said in a statement here. This is the second award for GNFC in this category. A week ago, it had won the Golden Peacock Award in the category of Innovative Product/Service for its cashless innovation. GNFC won from among 214 applicants, including SMEs, public, private, government enterprises and NGOs for the year 2017. The Golden Globe Tigers CSR Award was given to GNFC at Golden Globe Tigers Night 2017 organised at Kuala Lumpur, Malaysia. The event was attended by global CSR leaders from over 43 countries. The Golden Globe Tigers Award was established by World CSR Institute. 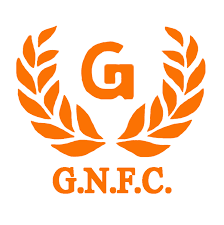 About 30 applications were shortlisted from which GNFC was selected as the winner. GNFC emerged as the first fertiliser company in India to transition to a cashless economy successfully. Its township in Bharuch, Gujarat, became the first 100 per cent cashless township of India after demonetisation in November 2016.